Wayne Keller continues to put his Subrosa DTT prototype through its paces. 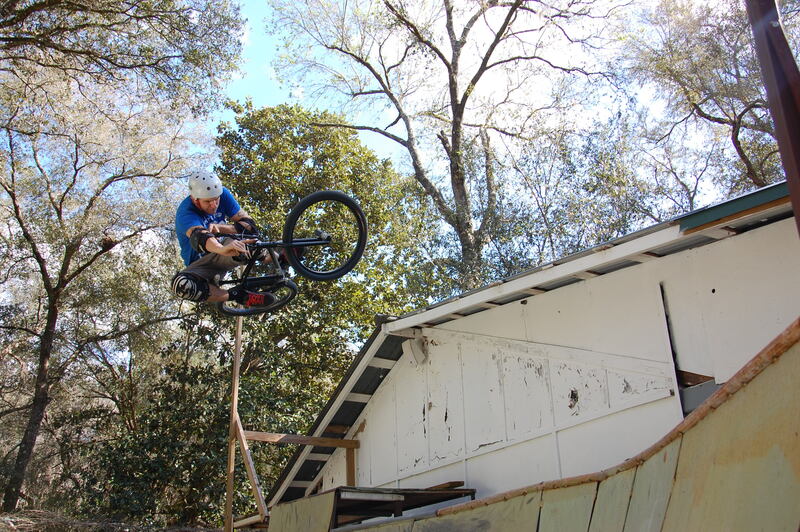 This past weekend he sent over this cool tabletop shot taken at his backyard ramp (photo credit: Ed Rusch). Obviously, he knows I have a weakness for a good tabletop shot. And, in the spirit of celebrating classic moves from begone eras, Wayne has also been spotted busting out a move that doesn’t get the respect it deserves…the infamous Grizz Air. Josh White would be proud. Still no word yet on final specs of the DTT but rest assured once they’re released, we’ll have them here. It was through riding BMX that Joseph Moody discovered that he had cancer…and it was by riding BMX that he was able to beat it. Dealing with old man winter can really bring you down. Unless you’re lucky enough to live in one of the sunshine states, have an indoor skatepark nearby (that allows bikes) or are down with practicing flatland maneuvers in parking garages, winter tends to force even the most rabid of bikers into a bit of forced hibernation. And even if you have an indoor skatepark nearby, they’re often overrun by scooter kids, fruit booters and the like. 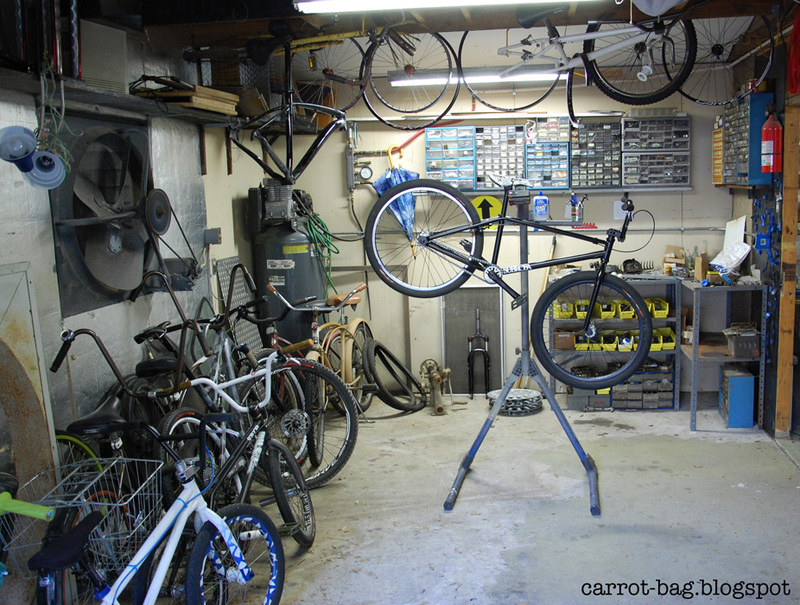 Thankfully in recent years, the indoor bike park concept has begun to take off. Usually with a “MTB” in the name, these parks have a little something for everyone…BMXers especially. Let’s take a look at what some of these parks have going on. Inspired at least partially by Ray’s MTB, some Canadian MTBers decided to put their own spin on the indoor bike concept and bring it over the border to a suburb just outside of Toronto, Ontario (Canada). Joyride 150 is also loads of fun and happens to be the closest one to Cruiser Revolution HQ so it’s also the one I happen to visit most often. Drew Bezanson filmed one of the craziest videos of 2012 here (and tends to hit the park on a semi-regular basis too) so you know this park has some fun stuff to ride. Located in Syracuse, NY, Cranx is another good bike park. A pumptrack, jumpline, and a recently completed wooden bowl are just some of the highlights. It hasn’t been open that long but things are constantly being updated and refined. You can read more about Cranx in the recent post Cranx: shreddin’ in Syracuse. Definitely a great place to check out. The Lumberyard brings the indoor bike park concept to Portland, Oregon. Haven’t been to this one yet but I definitely like what I see. Jump lines, pump tracks, and skatepark-style stuff make this another good one to put on your list of parks to check out. An interesting thing that the Lumberyard has is a full-service restaurant. Being able to get some BBQ and a beer or two after a good session seems pretty awesome. What’s your favorite bike park? Anybody planning a trip to one of these places? In December, we shared the news that Prophecy was planning on releasing a carbon 24. Pictures were scarce, so we did not have much to go on beyond some basic specs and a picture of their 20″ model. 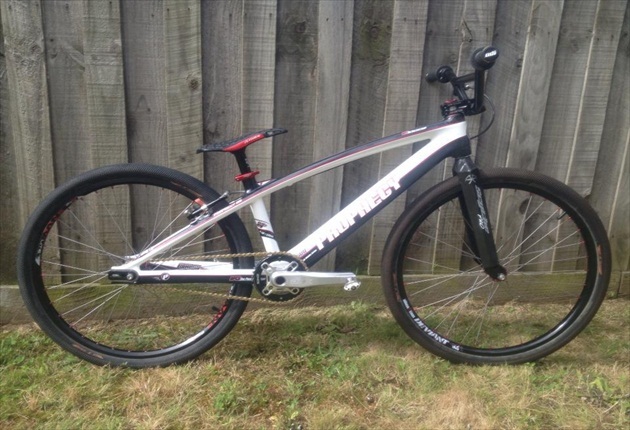 Thankfully over the weekend, FastlaneBMXMag managed to not only track down some pictures of the Prophecy Scud 24 prototype but a web edit of Trevor Stamford putting it through its paces at a BMX track. As you can see, the Scud 24 is not going to weigh you down. The prototype built up into a full-on race machine. And the prototype in action. What do you think? 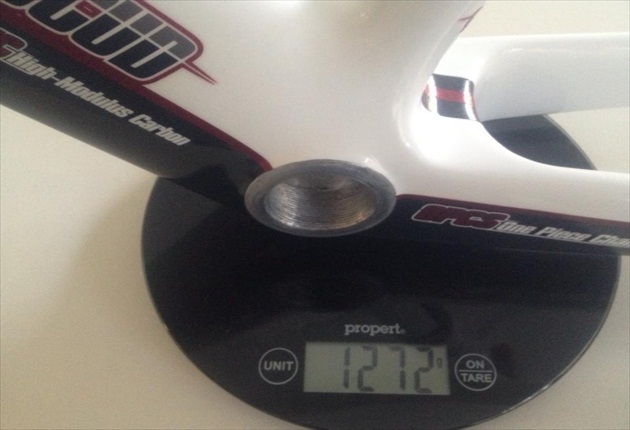 Would you race a 24″ carbon frame? 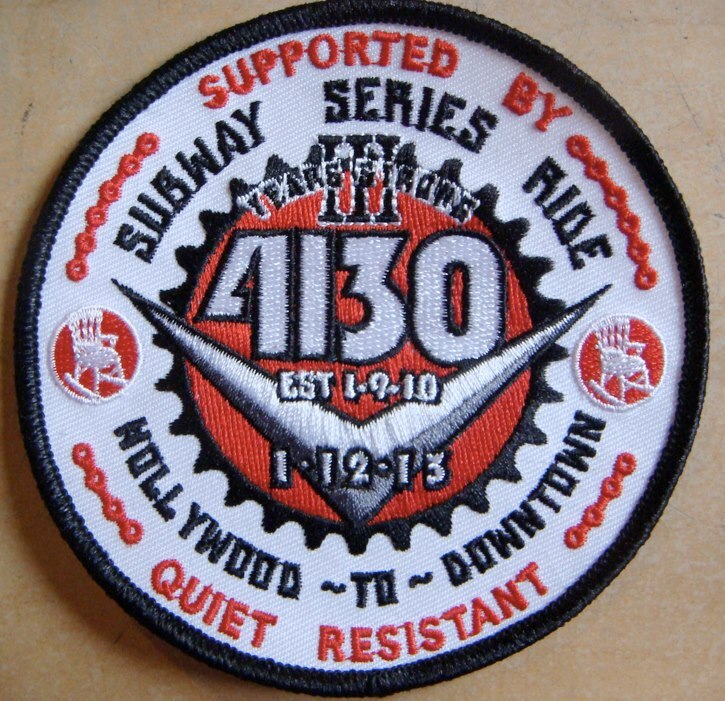 The world famous 4130 Subway Series ride celebrates its 3-year anniversary tonight. ….cruising the neighborhood with friends. Nothing quite replaces the joy of roaming the streets, hitting spots and feeling free as you roll along on your bike. The 4130 Club has captured all those things in their monthly rides. It doesn’t matter if you’re a street rider, a racer, old school or new school…all are welcome and the positive vibe is contagious. 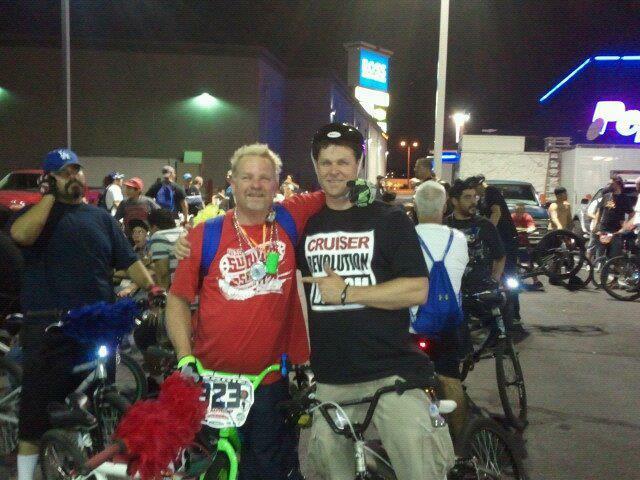 (Randy Franklin and me (Ed) all smiles at the 4130 Sin City Ride). That being said, I’m kicking myself for not being down there with the 4130 Chromies for what I’m sure will be an epic ride. I’m sure even while I’m typing this, people are already doing the final checks on their bikes and making their way down to the meet-up spot in Hollywood. So if you’re riding tonight, be safe and have fun. If you’re not riding, start thinking about when you can attend a 4130 ride in the future. 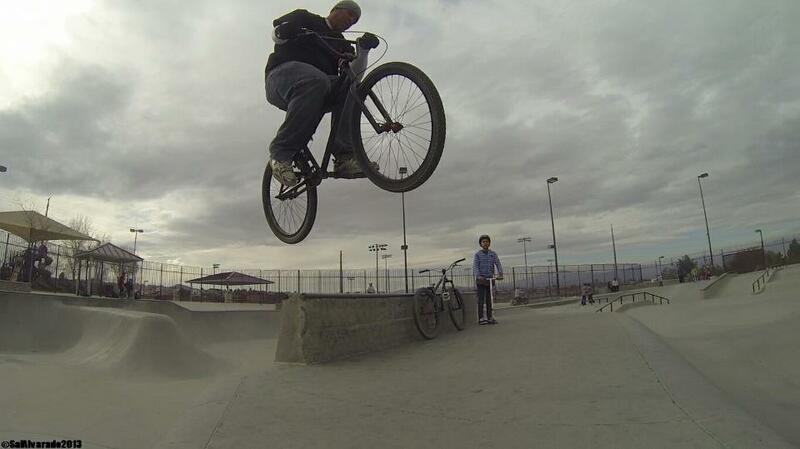 This a must-do for any BMXer! For more on the 4130 Subway Series, check out 4130 Subway Series is pure BMX and 4130subwayseries.com. So this is what Wayne Keller‘s been so coy about. 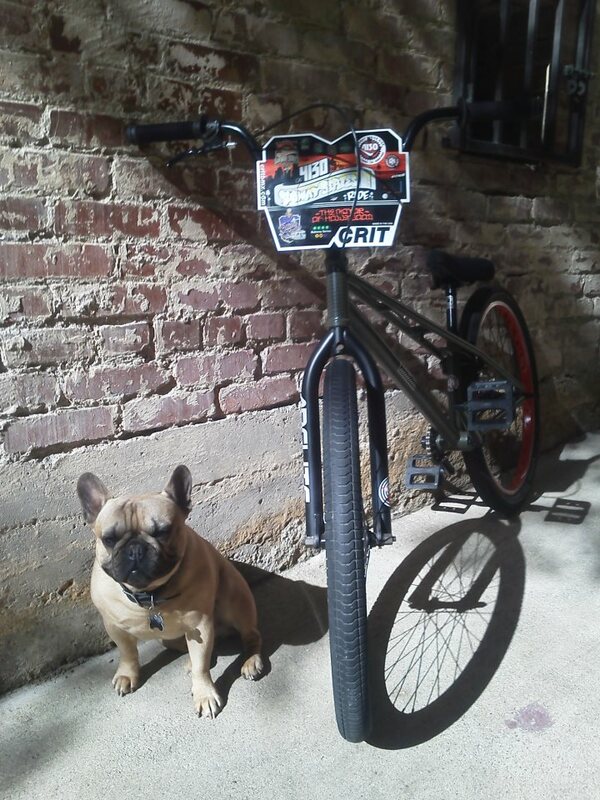 Looks like he’s been rolling on a pre-production double-top tube Subrosa 24″ frame and Villicus fork. No word yet on geometry, specs or availability. 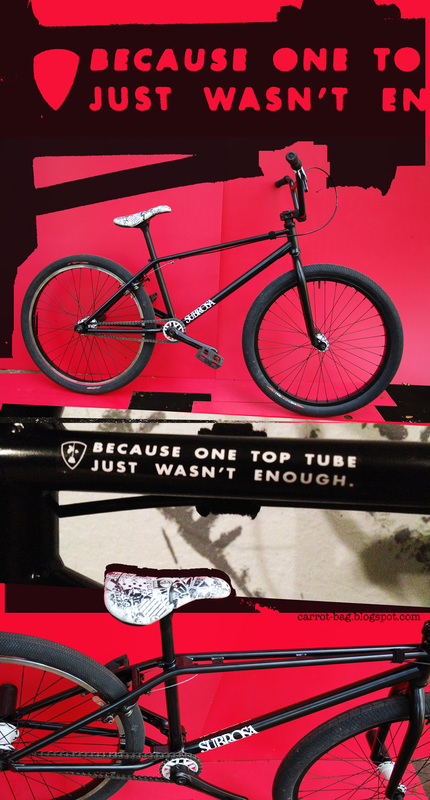 Subrosa has had some other 24s in their lineup in the past…like the Letum 24 and the Salvador. The Salvador was a bit of a disappointment to many…given its high-ten frame construction (check out For real, too much steel for more on this). Has Subrosa stepped up their game this time? We’ll have to see. What are thoughts on this new ride? Mike Leonard‘s been holding it down in Las Vegas for some time now. 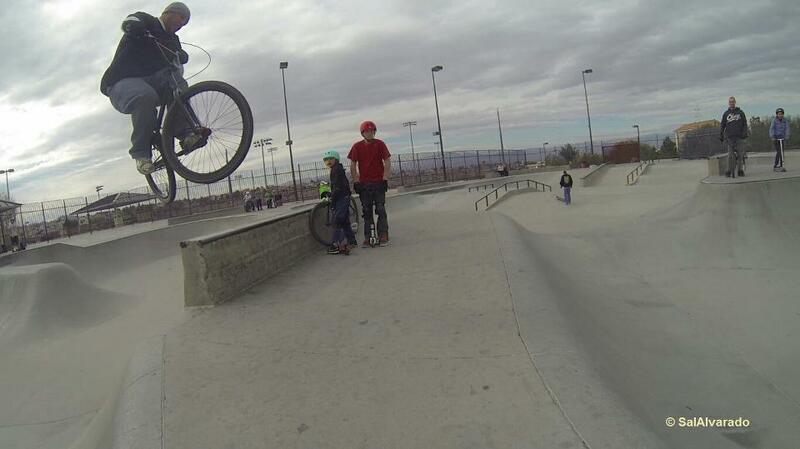 Always spreading the good word and reppin’ the 24″ at the skateparks, the trails and the 4130 Sin City Rides. 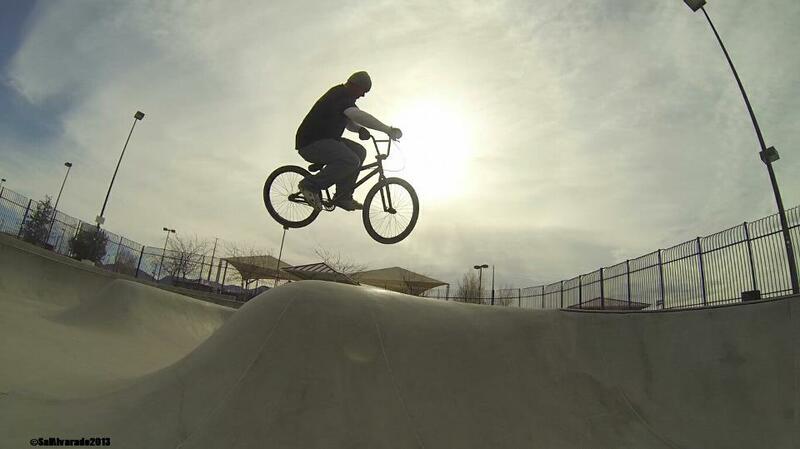 Mike’s also been on a bit of a tear lately…putting in some serious riding at Bootleg Canyon and Anthem Skatepark. Sal Alvarado, a rad MTB rider in his own right, has been right there with him and has started to snap a few pictures along the way to document the action. Here’s just a few of the good ones that have surfaced the past few days after a session at Anthem. I have a feeling there’s more to come of this stuff in 2013! Busting on the big table at Anthem. For more on Mike, check out the Cruiser Revolution Facebook page for a pic of him airing out over Bootleg Canyon (December 23rd post).